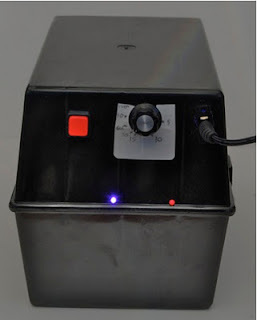 Now that we can create our own circuit boards, lets improve our UV Light Box, by adding an automatic timer to it. 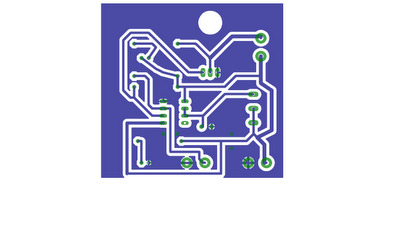 The PCB is designed in EagleCAD. A free version is available for non-commercial use. It is not the easiest software to use, but you will soon get the hang of it with a bit of patience. The Eagle project files are available here. We will use the famous and much used 555 timer and a variable resistor to control the length of the exposure. We will also have two indicator LEDs. A red one to indicate that power is supplied to the Light Box and a blue one that will only be illuminated when the UV LEDs are lit. 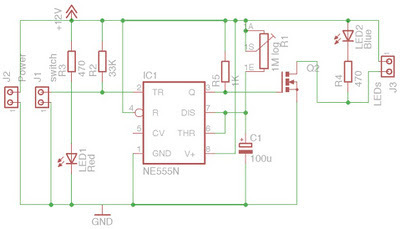 The schematic diagram for the board is shown below, along with the board itself. The board design is included in this zip. Its also shown below, but not to the correct scale. Print off the timer board design onto transparency film and expose it in the same way as you did for your test strip, using the exposure you decided on in the previous section. Make sure that you put the transparency on top of the board the right way up. I.e. 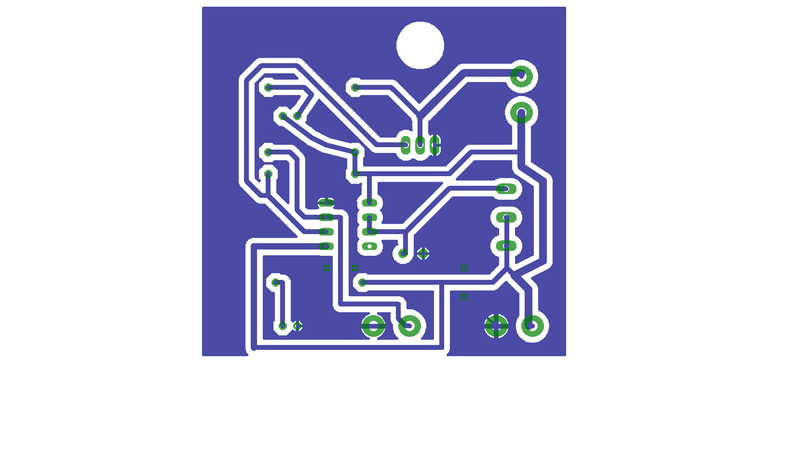 it should have the rougher side on which the image was printed to the top, as the PCB layout shown at the end of the document is from the perspective of looking through the board from above and so we need to reverse it. When the transparency is on the board in a position for printing, the text should read correctly rather than be mirror image. Once the board is etched, you will need to drill the board using a 1mm drill bit. Use the diagram below to identify the position of each component. Solder the components into place, starting with the lowest components first. 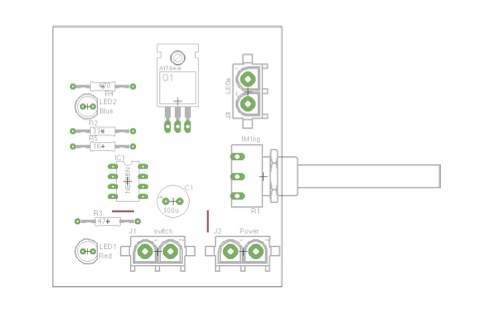 The potentiometer is attached to short wires to make it stand far enough away from the board to fit into our enclosure. Depending on the design of your index box, you may not need to do this. 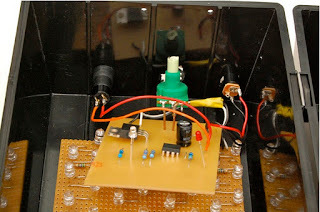 Similarly, wires are soldered between the termination points on the circuit board and the switch. 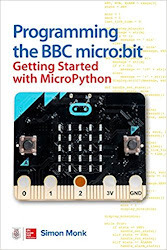 This also applies to the connection to the UV LED Array and the power socket. Note that you could use screw connectors for J1, J2 and J3 on the board, but I just soldered leads directly to the board. Note also the two red jumper links that are required. Test the board connected to the power supply and the switch using just the blue LED, before fitting everything into the box and connecting up the UV LED panel. Line up the completed board against the inside of the box and mark the position in which to drill the holes for the potentiometer, the push switch and the LEDs. The collar of the potentiometer and the snug fit of the LEDs into their holes is used to keep the board in place. After it is all assembled, we need to calibrate the timer. I used a paper label onto which I marked the times, including the optimal time for my set of equipment of 30 seconds. A stop watch and trial and error was used to calibrate the dial. 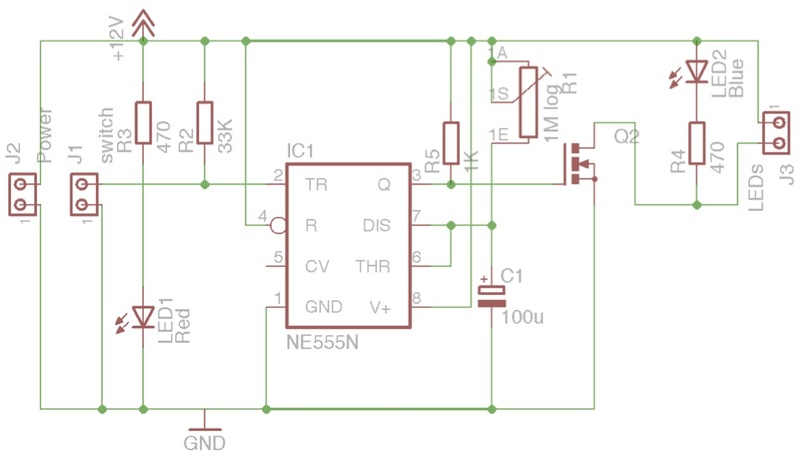 It is beyond the scope of this article to go any further into PCB design. 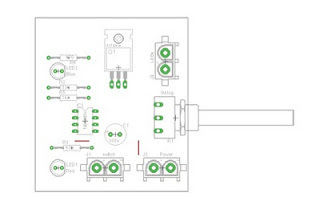 The author uses the free (for home use and small boards) Eagle CAD software. This excellent software takes a little getting used to, but is very powerful and will attempt to automatically create board layouts from your schematic diagrams. Have fun, but above all, be careful - almost everything in this project is dangerous!